Friday November 8th, 2013 – Huntington Capital has been featured as a top performing impact investment fund in a case study titled “Impact Investing 2.0: The Way Forward – Insight from 12 Outstanding Funds.” The report was unveiled at the World Economic Forum in New York on November 7, 2013. The Impact Investor’s Project is a partnership between InSight at Pacific Community Ventures, CASE at Duke University and ImpactAssets, with the goal to identify common practices driving excellent financial and social performance. With lead funding from the Omidyar Network, these organizations have been working for over two years to examine the practices of 12 outstanding impact investing funds, culled from an initial list of 350 funds worldwide. The report presents the project's findings and represents the largest public release of data on the inner workings of these impact investing funds: their origins, development, goals, leadership, investors, investees, strategies, and financial and social performance. The funds featured in the report represent over $1.3 billion of assets and a diverse cross-section of the impact investing field. The report is designed to be a resource for the broad community interested in the future of impact investing, illustrating that concurrently delivering significant social impact and financial returns that meet or exceed investor expectations is not only possible, but is being done at significant scale. 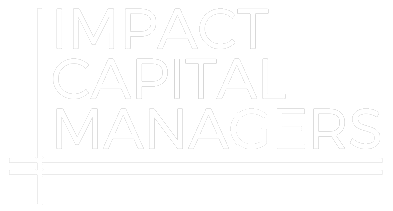 Managing Partner Tim Bubnack commented “Huntington Capital is honored to be recognized as an emerging leader in the impact investing field. Being chosen as an Impact Assets 50 2013 Fund along with this Impact Investor Case Study speaks to the hard work and commitment our team brings to providing capital to underserved small businesses in the Western United States. To download a copy of the report, please visit http://bit.ly/impinv. Based in San Diego, CA, Huntington Capital (www.huntingtoncapital.com) is a leading mezzanine capital provider to lower middle market companies throughout California and the Southwestern United States. Founded in 2000, Huntington is operating three limited partnerships and is currently seeking new investments for its recently formed Huntington Capital Fund III. Huntington seeks to invest in established lower middle market businesses generating between $10 million and $75 million in revenues across a broad range of industries; investments are typically structured in the form of growth capital, buyout or acquisition financing ranging between $2.0 million and $7.0 million. The firm has invested in approximately 47 companies since its founding. Pacific Community Ventures’ impact evaluation and research practice (www.pacificcommunityventures.org/research) provides information and analysis to investors and policymakers with the goal of driving capital to underserved markets. InSight’s work has provided the basis for national policy initiatives, including the White House Impact Economy Forum. In addition, InSight has been asked by the UK Cabinet Office to work alongside the World Economic Forum to lead the Global Learning Exchange, an outcome of the 2013 G8 summit in Northern Ireland. InSight’s evaluation team supports clients including the $250 billion California Public Employees Retirement System, Citi and The Annie E Casey Foundation, and in 2012 assessed the social and economic impacts of over $25 billion of institutional investments, across asset classes. The Center for the Advancement of Social Entrepreneurship (www.caseatduke.org) is an award-winning research and education center based at Duke University’s Fuqua School of Business, working to promote the entrepreneurial pursuit of social impact through the thoughtful adaptation of business expertise. The CASE i3 Initiative on Impact Investing (www.casei3.org) was the first comprehensive program at a top global business school to blend academic rigor with practical knowledge in the emerging field of impact investing. CASE i3’s strategies are to engage MBA students, support practitioners, and develop a research community for the field. In its first two years, it has educated over 850 MBA students about impact investing, formed partnerships with over 65 global practitioner groups and worked with 22 researchers at 12 universities. ImpactAssets (www.impactassets.org) is a non-profit financial services group offering investors access to information and knowledge regarding the Impact Opportunity as well as participation in impact investment vehicles. IA manages one of the nation’s leading Donor Advised Funds, allowing philanthropists at all levels access to impact investments supporting community development finance, affordable housing and other areas of interest to investors. The IA-50 provides individuals new to the field a general overview of leading impact investment firms across various thematic areas. In 2011, IA first introduced Impact Investing Issue Briefs, which explore various questions of interest to high net worth individuals and their clients.